We've been approached by a couple clothing lines about a "sponsorship type deal" in the past but we were never really feeling the threads. Now we are happy to say we have joined up with a clothing line which we are really diggin. 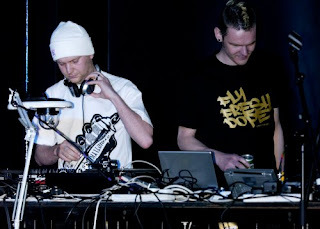 Check the website here where you can buy the shirts Fly-T and Professa Fresh are wearing in the picture above at the Ghostface Killah gig, O2 Academy.